Though the modern calendar year begins on January 1, many Christians know that the church year truly begins on the fourth Sunday before Christmas--the first day of Advent. To celebrate the season, Christians join in the tradition of the Advent wreath. But what is the story behind the wreath, and what do the four Advent candles represent? 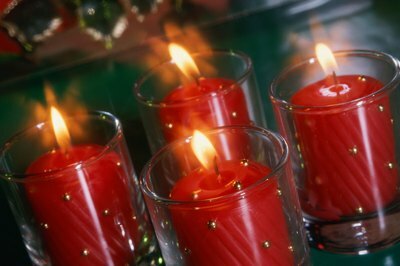 Advent candles count down toward Christmas. 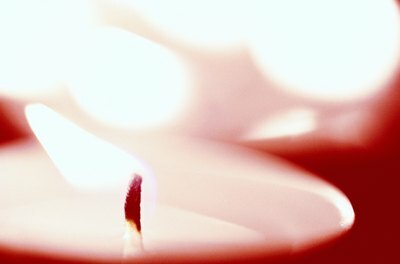 Lighting candles during the Christmas season dates back to pre-Christian Europe, when fire and candle-lighting rituals heralded the return of the sun after the winter solstice. Early Christians kept the traditions but changed their significance--instead of the sun, they heralded the coming of the Son. 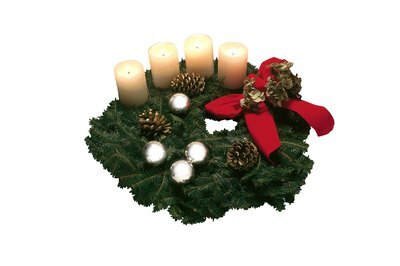 A traditional Advent wreath contains four candles, spaced around the body of an evergreen wreath. Three of the candles are purple, and the fourth is pink. 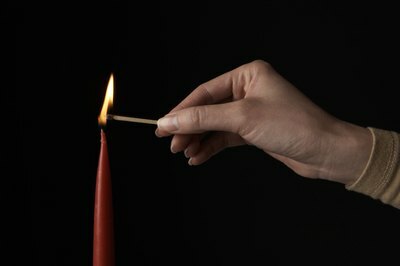 A fifth candle is optional and can be placed in the center hole; its preferred color is white. Each of the four candles represents one of the four Sundays before Christmas. The lighting of the candles is, therefore, a form of countdown to Christmas. 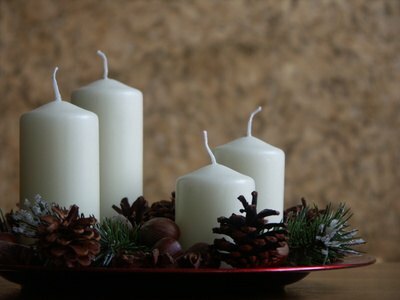 If there is a fifth candle, it represents Christ and should be lit on Christmas Day. Purple was the color of royalty in the European tradition, and so purple candles may represent Christ as King. Purple also carries religious significance as a color of prayer and penitence. The pink candle stands out because it represents the third Sunday of Advent, called Gaudete Sunday. It represents rejoicing in the coming of Jesus. It also marks the halfway point in the Advent season. Some churches prefer to use blue candles instead of purple candles, in accordance with their specific liturgical colors. Other churches avoid symbolic colors altogether, favoring the natural colors of the wax. 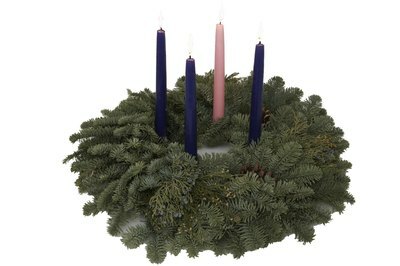 Evangelical Lutheran Church in America: What is an Advent Wreath?